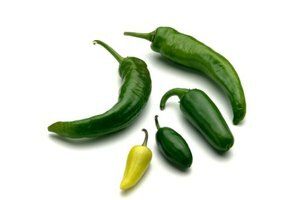 With about five times the heat of jalapenos, habanero peppers pack a punch when you add them to salsa, relishes or other recipes. The Joy of Cooking recommends wearing plastic gloves when you work with fresh habanero peppers to protect your hands from the fiery capsaicin inside the peppers and seeds. 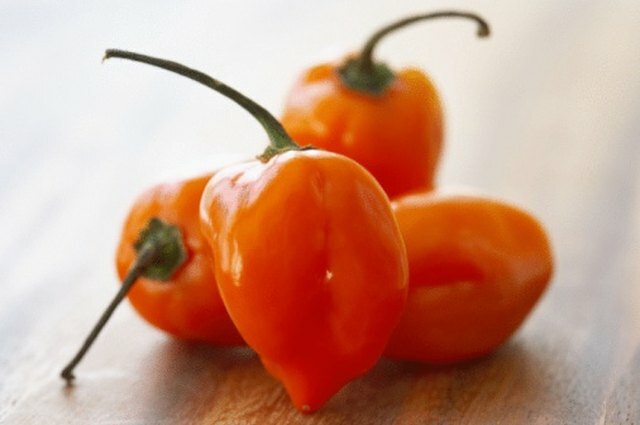 Cut a habanero pepper carefully and use as much or as little as you desire in your recipe to create eye-opening taste. 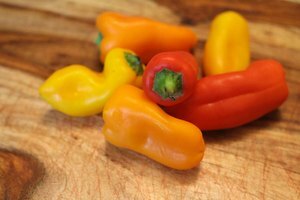 Put plastic gloves on your hands before touching the habanero peppers, and wear them until you finish working with the peppers. 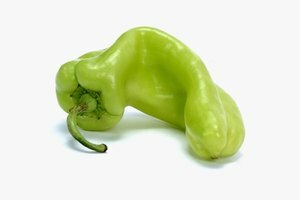 Place habanero peppers into colander. Wash the peppers under cool running water. Transfer peppers to cutting board. Cut tops off habanero peppers with chef’s knife and discard stems. 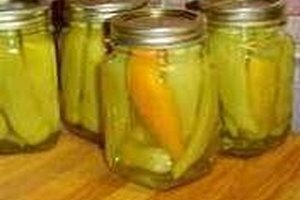 Cut peppers in half lengthwise. Remove the seeds if you want to weaken some of the heat, and discard. Leave the seeds intact if you want intense heat. Cut the pepper halves into 1/4-inch-wide strips. Cut each strip into tiny pieces to finish chopping the peppers. Transfer the chopped peppers to the bowl and add them to your recipe. Place the knife and the cutting board into the sink. Wash with dishwashing soap, using dishcloth to scrub all surfaces well. Rinse items in warm water. Perform all cleanup work before removing the gloves because your cooking items have residual capsaicin oils on them. Do not remove the gloves until you finish all cleanup tasks.